Lisa models her Breathe Bubble Necklace and Earrings, Inspired by her love of scuba diving. Maui Made: How did you get into jewelry design? 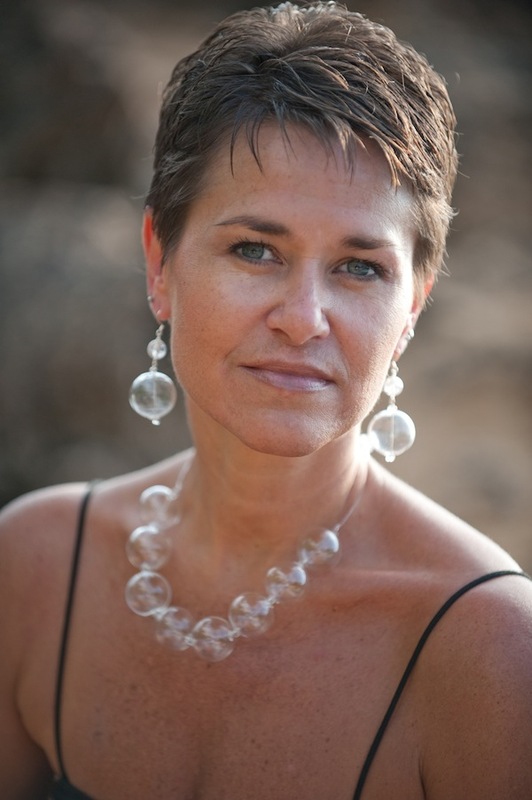 Lisa Lappe: I have a BFA in Graphic Design and worked in the corporate world for 15 years before moving to Maui. I enjoyed making jewelry as a hobby, but enjoyed it so much that I decided to try make it my full time job. Everything is handmade by me and it’s truly become my passion. MM: Where do you get your inspiration? LL: My inspiration comes from the surrounding nature of the Hawaiian islands both above and below the sea with it’s life, texture, color and patterns. My designs combine natural shell, lava, coral, pearls, gemstones, sparkling crystals and story telling into island inspired, budget-friendly wearables, gifts, favors and keepsakes. MM: What are your most popular designs? LL: The Aloha Wish Necklaces and Adjustable Cord Bracelets are the best sellers in the boutiques. Everyone loves a story and I try and incorporate my background as a graphic designer into jewelry designs with good packaging. The best seller on Etsy is the Mother Daughter Necklace Set. It’s meaningful and people take the time to read the story online. I wanted to come up with something unique and meaningful for gift giving. The Aloha script necklace is also a popular item. Aloha Wish Necklace – When the silk cord breaks, your wish will come true! MM: Any Etsy tips for people just starting out? LL: Be patient, sales don’t happen overnight, and also be active, listing new items, relisting, posting to Pinterest, Facebook, Twitter. And really good photography and descriptions are essential. MM: What’s next for Maui Dive Girl? LL: I’m hoping to keep expanding into other boutiques and locations. I’m currently on the Big Island, Maui, Oahu, Japan, New York, and Canada. 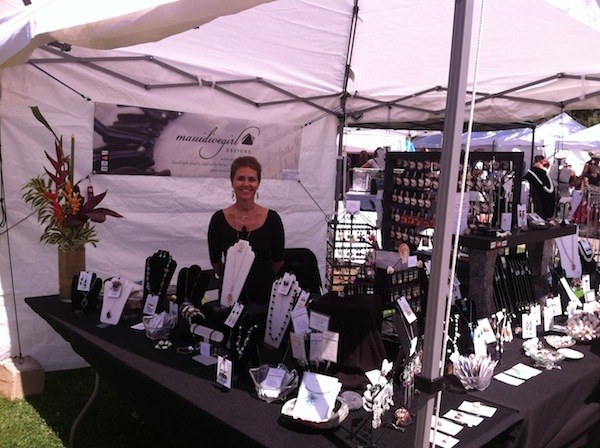 I will be at the Haleakala Waldorf Holiday Faire on December 7th, 2013 on Maui and World Whale Day Made on Maui Fair in Kihei, Saturday, February 15th, 2014. Mahalo to Lisa for sharing her inspirational story! Shopping News for This Friday!